The version of the game I played was “Mass Effect 3: Extended Cut” which gave me “From the Ashes,” the DLC where you get Javik. I’m glad I got this version and bought what DLC I could find as it really did enrich the game. I would have been super annoyed with the plot holes (there are still a few) that a lot of the DLC deals with, making the game so much more enjoyable. 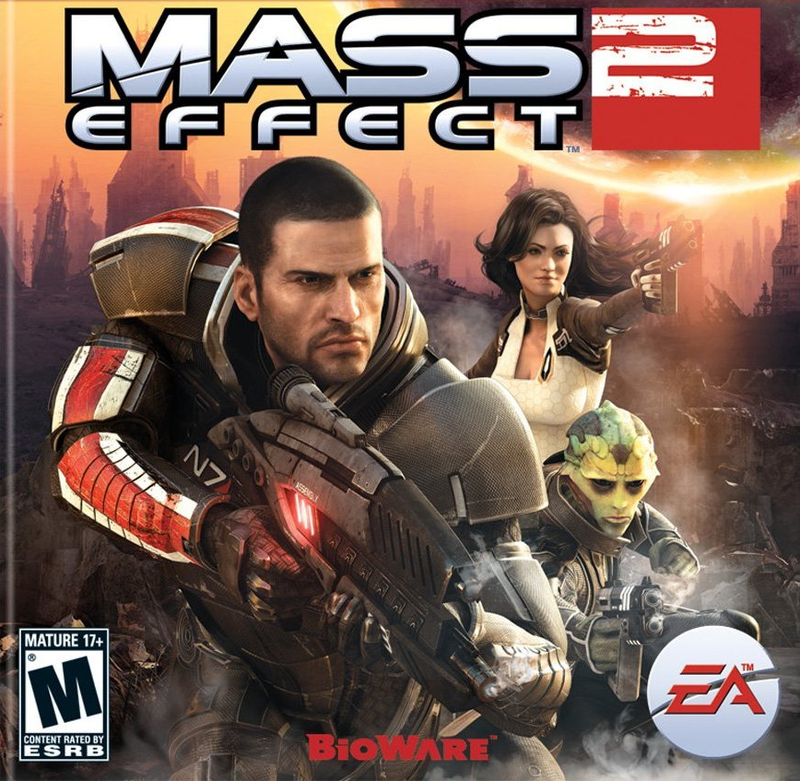 The game still has problems but before I get into details and spoilers, I enjoyed the Multiplayer, the dramatic sacrifices of characters, the gameplay and combat and the character moments you get with side characters and your team who in many cases you’ve been since “Mass Effect 1.” I’ll get into the details of all of these further into the review. 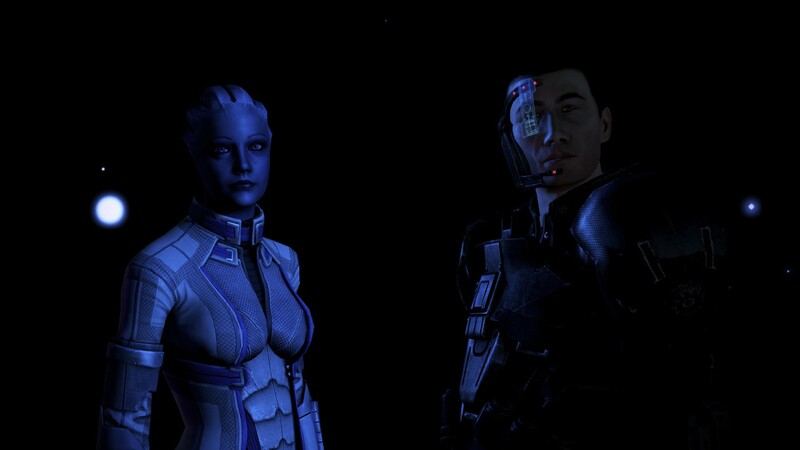 “Mass Effect 3” picks up where “Mass Effect 2” left off with the Reapers on the way. Shepard has been arrested by the Alliance for his warcrimes but is released when the Reapers attack Earth. From here it is up to Shepard to find his team, create a united front against the Reapers and build a Prothean Super Weapon called the Crucible that might be the only way to defeat the Reapers. The Pros: Multiplayer – I’m usually not a fan of multiplayer in singleplayer games, especially ones that are almost an implied necessary part of the game as in “Mass Effect 3” multiplayer increases your chances of success in the main game campaign by increasing Galactic Readiness. The thing is I actually enjoy Multiplayer for “Mass Effect 3.” you can unlock the other species such as the Asari, Turians, Quarians, Salarians, Drell and Krogan and unlock other weapons. 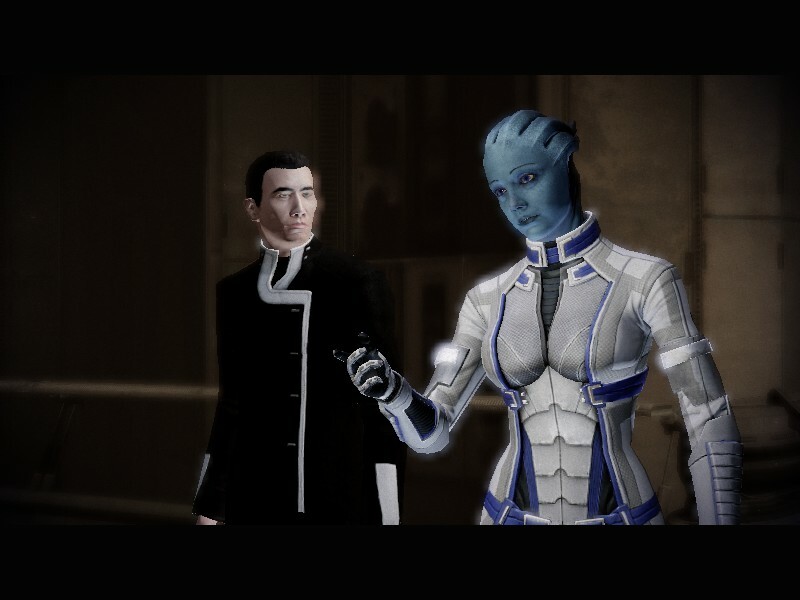 I really enjoyed playing as someone who wasn’t human as I love the aliens of Mass Effect. The gameplay is PvE which is my favorite type of multiplayer and the maps give a diverse array of challenges as you defeat wave after wave of countless enemies ranging from Cerberus, to Reapers to Geth. The World – The world continues to be amazing as you get to the homeworld of the Krogan, Salarians, Turians, Quarians and Asari. In each of these places you face a threat that reveals more about the lore and the Reaper threat, as well as how the different species interact among themselves and what they value. Politics – Politics in 3 is on display more-so than any of the other games as you recruit each of the species against the Reapers and to help build the Crucible to fight them. 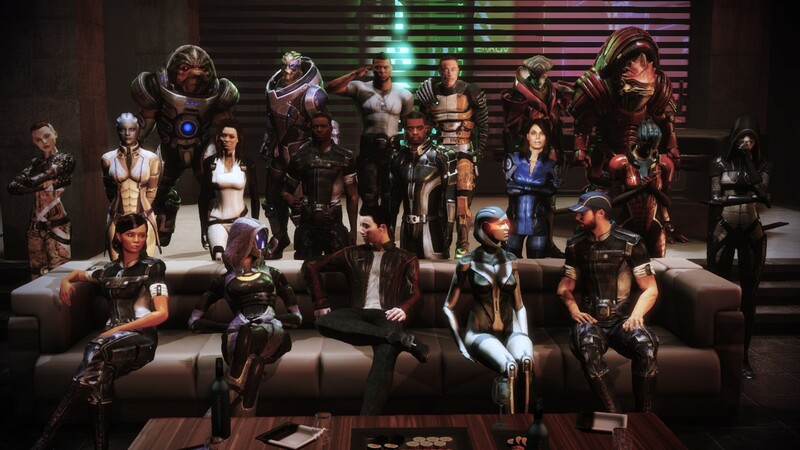 I really enjoyed this as you have to make choices, like choosing the Krogan and Turians or the Salarians and if you don’t have high enough Paragon or Renegade, choosing the Quarians or the Geth in their war. I loved all of it and it gives some great character moments as politics is the art of what matters on a world and in this case Galactic scale. There aren’t easy answers a lot of the time, and this game really illustrates that. Side Missions and Recruitment against the Reapers – There are a lot of great side missions in this, where you pick up things like Medi-Gel or Cerberus information to help doctors, scientist and ambassadors on the Citadel. You also help rescue the other species on the Citadel too as the Reapers attack their homeworlds, be it the Elcor, Hanar and Volus. Recruiting from the main council Races is really rewarding too. Also, it’s nice that the Council finally believes you. Continuing the Romance and Character Relationships – 3 you pick up where the romances left off in 2 or 1. For example I ended things with Ashley as apparently saying no in my quarters in 1 wasn’t taken as a breakup. 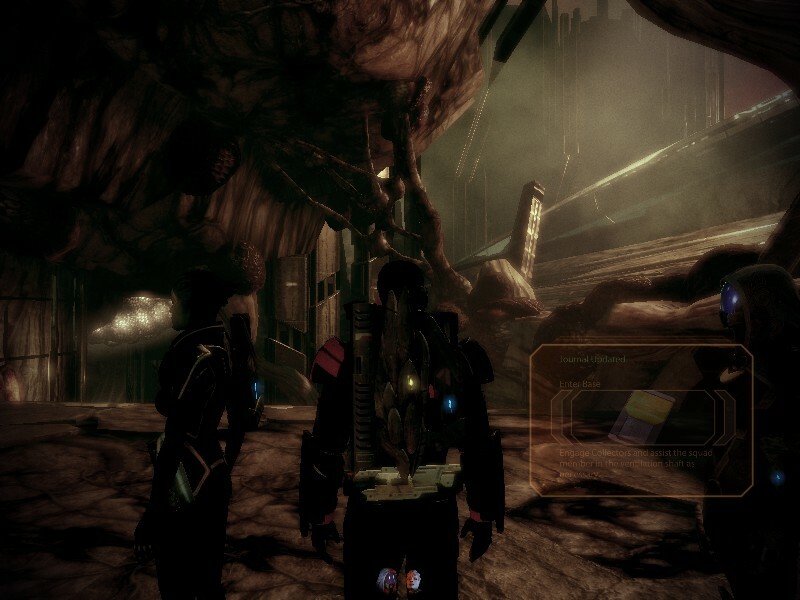 I also continued the romance with Tali and did her mission last to make sure I’d save her and have peace between the Geth and Quarians. You also continue your friendship with Jack and save the Biotic Academy she works at now, you save Miranda from her father, help Mordin stop the genophage, and Captain Anderson, who stays on Earth to fight the Reapers, help Miranda stop her sister, help Jacob save his partner who is pregnant with their child, spend time with a dying Thane and help EDI get a body! There is so much character development between 2 and 3. Side Characters – There are a lot of great side characters in 3, from Admiral Hackett who is leading the fight for the Alliance on the front lines against Reaper forces, Aria and uniting the gangs and retaking Omega with her friend, Victus the new leader of the Turians and his son, the Asari military forces and countless diplomats, soldiers and refugees on the Citadel. 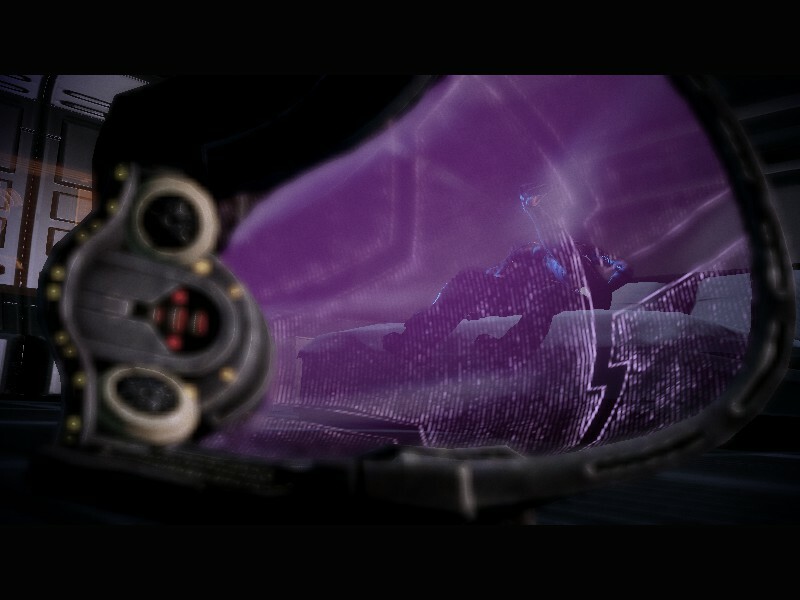 Past Consequences Paying Off – This isn’t across the board, but if you saved the Council they are open to working with you and at least give basic forces early on, if you saved Wrex you work with him against the Reapers and Cerberus on his homeworld, all your squad in Mass Effect 2 has payoff in their side missions. The Reaper Threat – The Reaper threat is great in this! From their destruction of Earth and the other Council Homeworlds, to their controlling of the Geth and Rachni, to you feeling them on side missions as they can kill you as you find resources and complete side objectives. They never stop being this great threat and it was one thing that has been consistent through all 3 games. 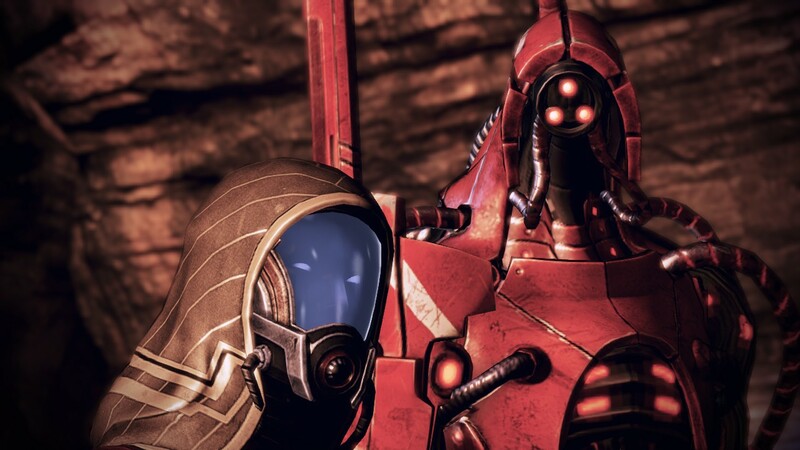 The Ending of Arcs and Sacrifices Before the Final – The Geth and Quarians have peace thanks to Legion and Tali! The Krogan join the Galaxy and there is peace between them and the Turians thanks to Victus’s son’s sacrifice and Mordin curing the Genophage. Miranda kills her abusive dad and saves her sister and you get to help all of your squadmates and recruit them once more for the final push against the Reapers. Relationships and Friendships With the Crew – There are some great moments of friendship and romance with your crew. From Tali coming up to your quarters when she’s made Admiral, to conversations around the ship and Citadel (shooting on top of a building with Garrus) to the amazing Citadel DLC where you get to see everyone who is alive. The DLC – The DLC is the best it has ever been, with only the Shadow Broker DLC being on par and sometimes better than what we get in this game. It really enriches the game and makes it really good. Javik – Javik is a Prothean, the last living one and is a cynical and sarcastic guy who doesn’t respect anyone except you until the end as he sees powerful the Galaxy is in standing together versus being dominated and enslaved by the Protheans. He really is a fun character and gives a perspective that hasn’t been in any Mass Effects. He was also DLC, which was stupid as he like Leviathan was kind of needed for the game to make any sense. Omega DLC – Omega is fantastic DLC as you unite the different gangs under Aria and take back Omega from the Cerberus general. It is a lot of fun as you get to know the different leaders and fight your first big battle in the game. It was so much fun to complete, and I rubbed off on Aria and get her to care about her people! Sometimes it rocks to be Paragon. 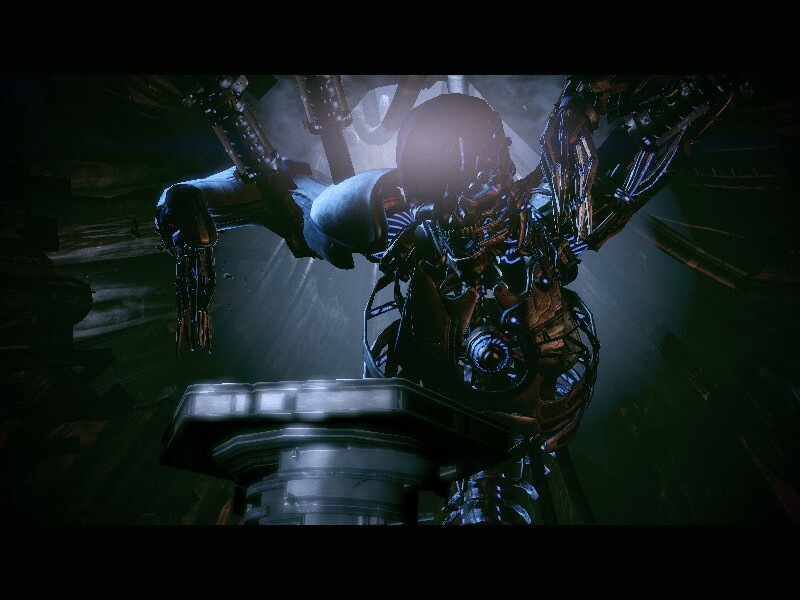 Leviathan DLC – Leviathan explains how the Reapers were created as the AI you meet that controls them was created by Leviathans in order to dominate and document past races. In the end they got overthrown and nearly wiped out showing the cycle that Snyths will always rebel against the oppression of organics and bring about chaos and death. This is where the cycle begins as these creature are ancient. Getting them to join you is a lot of fun and rewarding and I loved the lore dump. Citadel DLC – Citadel is awesome! You get time with your squadmates after taking out your evil Cerberus created clone. It feels like a James Bond film until you finish the main quest and after you get to support the characters and have great moments with them. 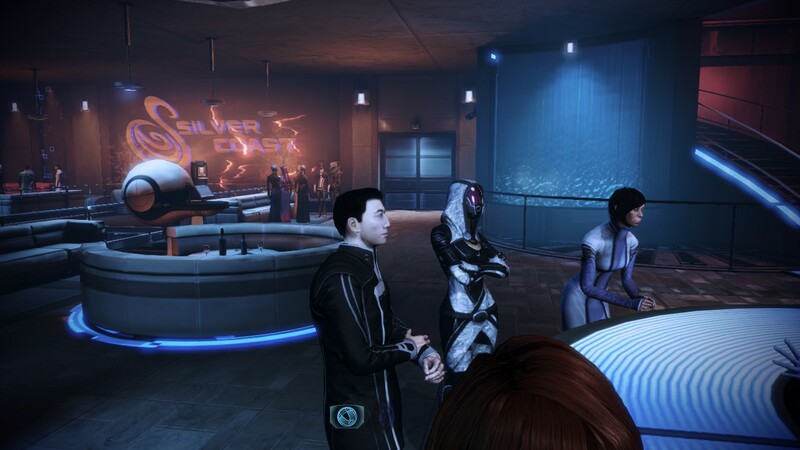 Part of the mission is infiltrating a casino so I took Tali on the date with me. It was a blast. 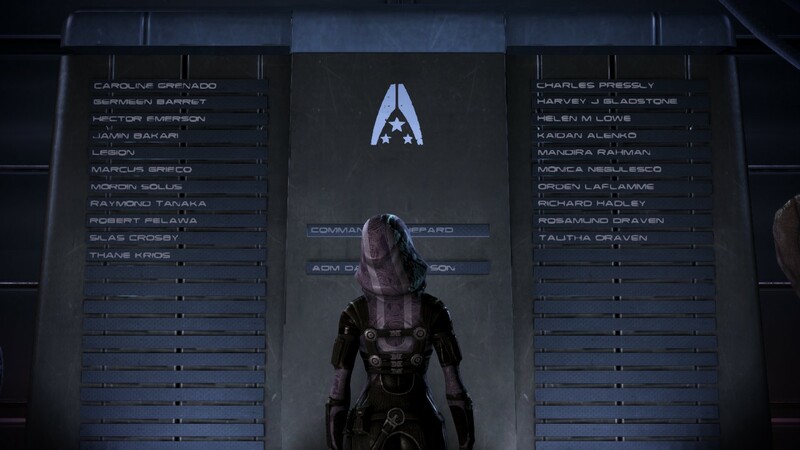 Tali – Tali becomes a greater leader in this game as she is part of the Admiralty and is one advocating for peace between the Quarians and Geth. She helps bring it about if your Paragon is high enough (as mine was) and we see her arc complete as she has her homeworld back and has found a home in her relationship with you (and vise versa for Shepard). We also see her hurt too as when you complete Miranda’s mission she drinks and regrets how everything she did was for her father and she did nothing to fight his control of her own path. It is powerful and I think this plays a big part later in how she takes the lead in watching out for others (she tells you to talk to Liara after Liara’s homeworld is destroyed). 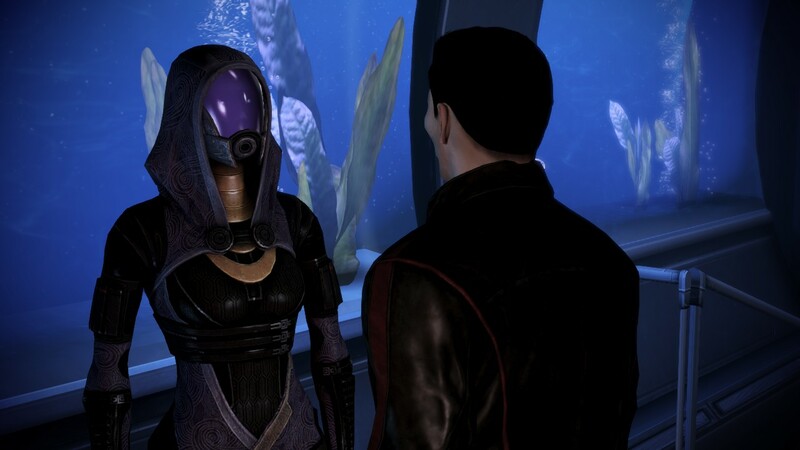 Tali is one of my favorite characters in the series and I think will be the romance in this game that will be the one I would have done if I was Shepard as an actual person in this universe. 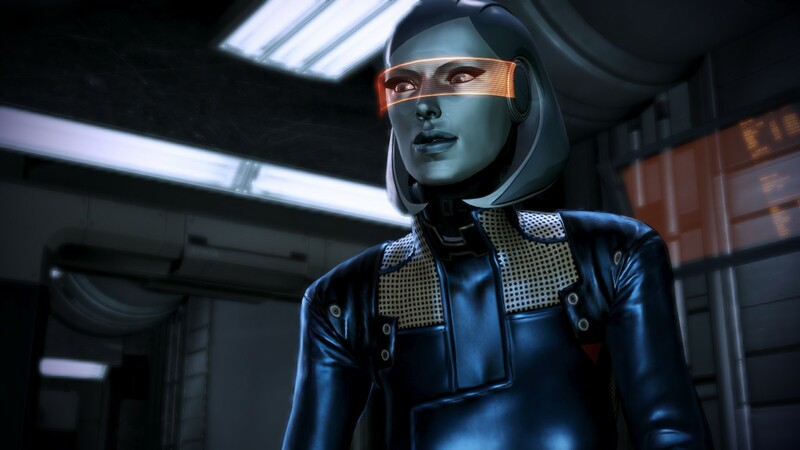 The Characters – The characters have always been one of the strongest parts of Mass Effect. In this some characters I didn’t give a paragraph to but will mention here are Ashley and her finally trusting you again, Cortez the pilot who mourns his husband as you help go through his grief, Traynor and her worry at being the new person figuring things out, the macho man Vega who has a good heart, Jack and her becoming a mentor and caring for others, Kasumi fighting for the good while still being crafty, meeting Grunt and his elite squad and saving him from the Reapers, and Zaeed finding his nobility as well as saving Samara from her code and meeting her other daughters. All of these moments were fantastic. Joker – Joker is with you through the series and in this you help him get together with EDI and learn to relax as well as being there as he waits and worries about his family. He is the core heart of the ship it is sushi with him that kicks off the Citadel DLC. Mordin – Mordin is back and is his fast talking, wonderful, logical self who develops empathy thanks to the female Krogan Shaman and in the end saves all the Krogan. He is a wonderful character and I’m glad I got to see him again this game. 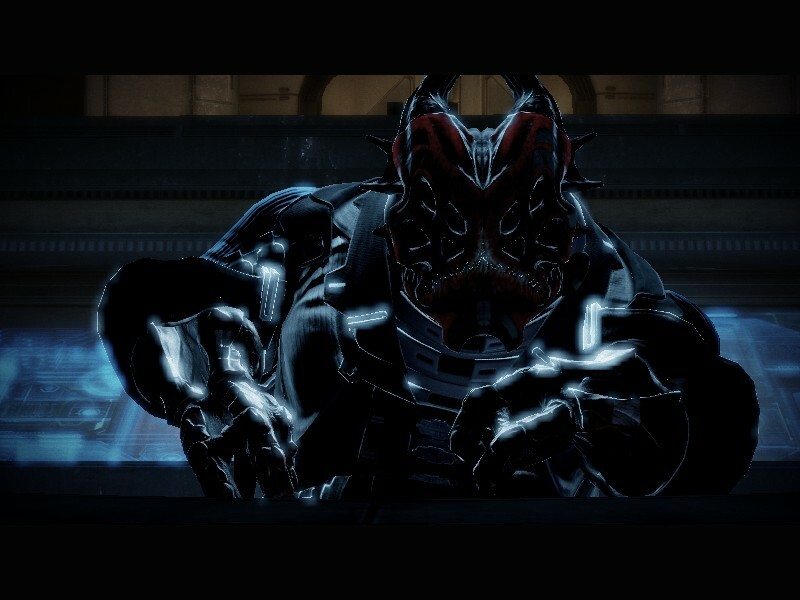 Wrex – Wrex is back and is doing all he can to fight for his people. He can’t be talked out of anything this time and I get why. 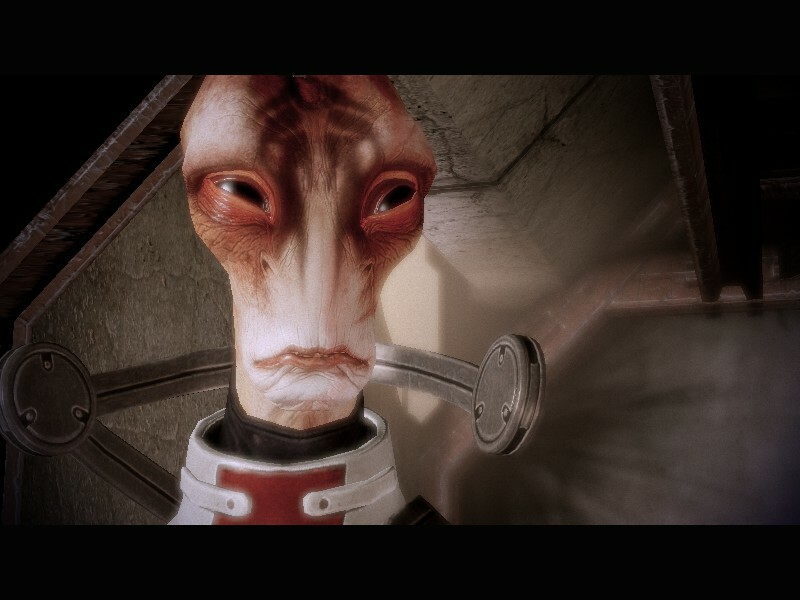 His people have been screwed over countless times and their survival is down to the wire and can only happen with your honesty, Victus’s son sacrifice and Mordin releasing the cure. I’m glad he comes to the Citadel party too as it is a call back to the first game and you get to have a lot of fun with him. 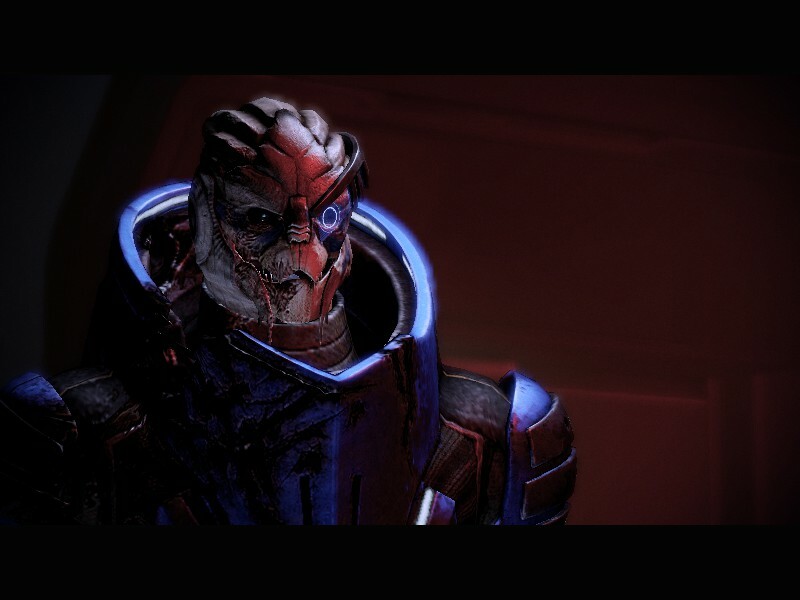 Garrus – Garrus is one of if not your best friend as male Shepard. 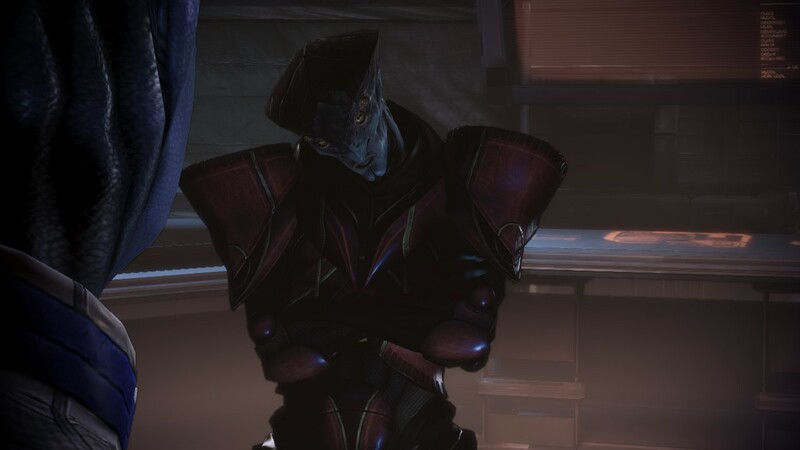 I wish I could have romanced him as Male Shep, he really is a great character and in this we see how much he’s grown as a leader as he is adviser to Victus and takes time on the Citadel advocating and caring for the Refugees. He also never forgets about you and reminds you to not get lost in guilt and loss…as last game he was in that place and you help him get out of it. Liara – Liara is your other closest friend and it is her actions that make the defeat of the Reapers even possible as she learns about the Crucible and as Shadow broker is doing all she can to bring it about. She sadly loses her homeworld and it is up to you to help her heal. 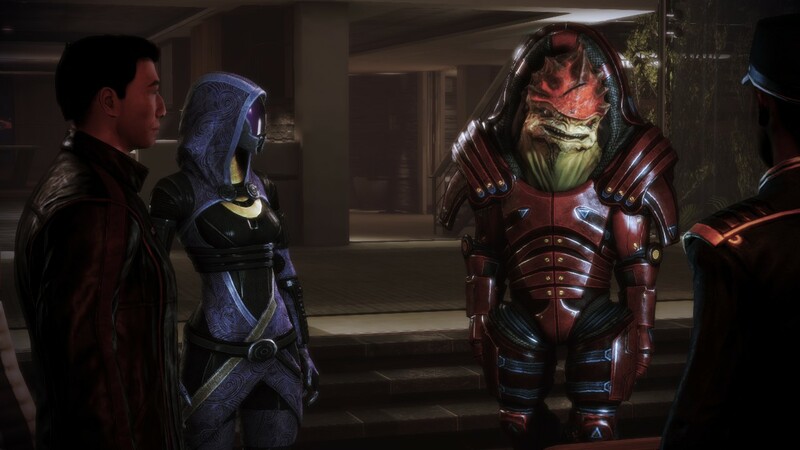 She also meets her father and learns she is 1/4 Krogan! I plan to do a romance path with her in future playthroughs of this series. EDI, Legion, Geth and Synthetics – This game picks up what 2 starts with showing how EDI, the GEth and Synethics are fully conscience beings with humanity. EDI explores it with you when she asks moral questions and gets relationship advice about her and Joker and thanks to the Reaper code, Legion achieves individuality that he gives to the Geth. It is beautiful and there was no way I was going to destroy them so I chose peace and Synthesis, even though it meant my death. 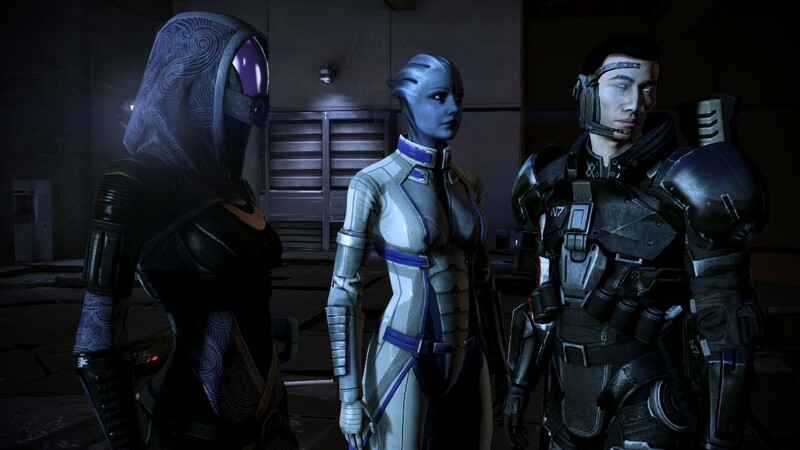 My Squad – My initial squad before I picked up Tali was EDI as my tech and Liara as my biotic, though that quickly changed once I picked up Tali and my old Mass Effect 1 squad was back. These two are two of my favorite characters in the series and they are amazing squad mates to have. The Good-Byes – The good-byes hurt but were amazing. My favorite good-byes were Liara’s mind meld, Garrus talking about drinks in Turian heaven, Tali’s painful “I want more time.” EDI finding humanity and how you can call up squadmates who are off of Earth. They really are some wonderful moments as you sit in the rubble of what is left of Earth. Final Sacrifice – I chose Synthesis and in the process Shepard dies to help Synths and organics com to an understanding between one another. It is really cool and it made sense since Shepard had been the one to break the cycle, so his perspective was key in bringing about peace in the galaxy. 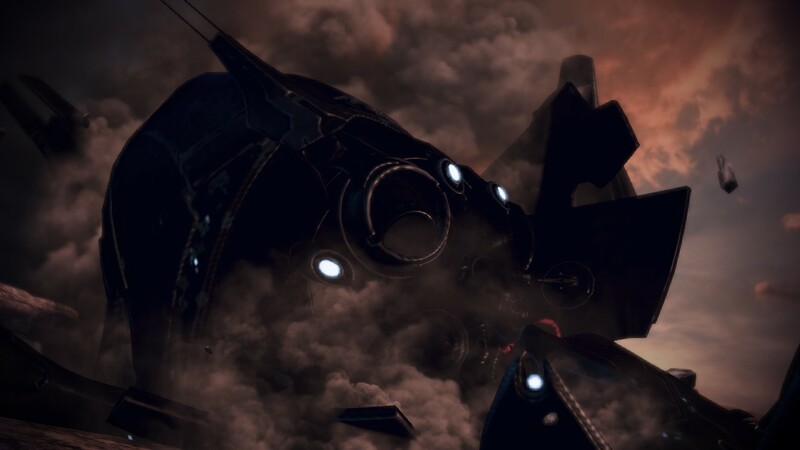 The Theme of Sacrifice – The theme of Sacrafice is huge, Aria’s friend sacrifices herself to protect her people from the Reapers on Omega, Victus’s son sacrifices himself for peace between the Turians and Krogan, Mordin sacrifices himself to heal the genophage and Legion sacrifices himself for the Geth so that they can find the individuality he gained. There is of course Anderson’s sacrifice and yours on Earth as well. Each of these things goes towards peace and is a major theme of the game. Plus you remember past sacrifices like those of Kaidan. The Cons: Lack of Rachni Payoff – The Rachni Queen gets captured again and we never see the full Rachni force after you save her for a second time. This was a waste as they should have been a powerful ally against the Reapers given the Queen tells you in “Mass Effect 2” that everything is going well with her people. How the Catalyst is Handled – The Catalyst AI looks like a kid and it is never explained and you see it in stupid drawn out dreams. The Catalyst should have been hinted at in 1 or 2. There is no setup and the scenes with the Catalyst just feel awkward. 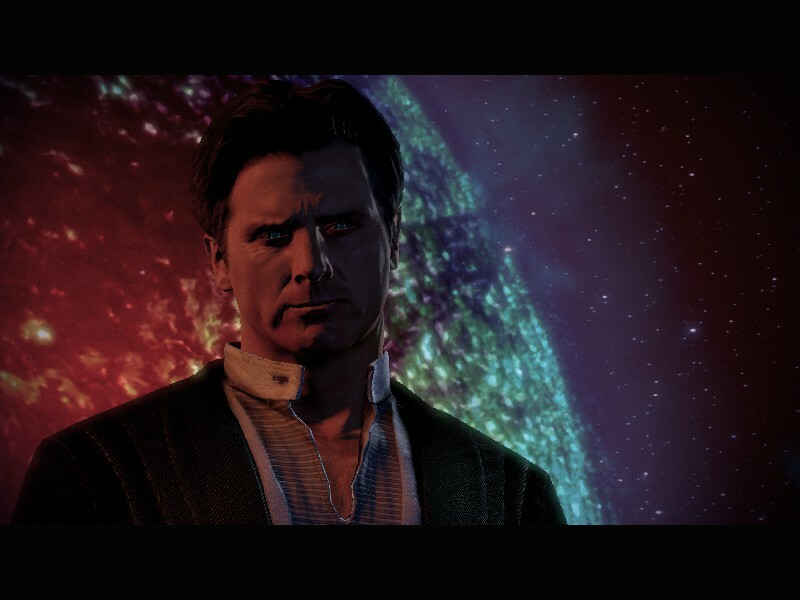 Cerberus, the Illusive Man and the Villain Problem – Cerberus kills so many humans and the Illusive Man never explains why. I get ends justify the means but this game he does everything to turn humanity against him and how he has such a large force is never explained. 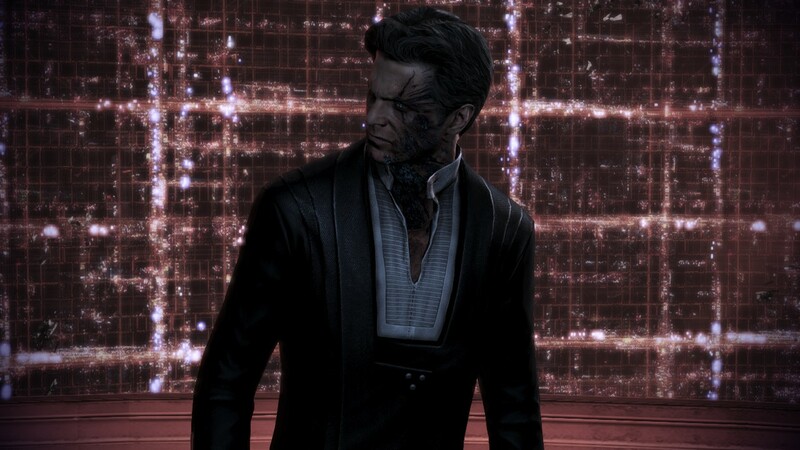 He isn’t like Saren where you get his background and can see it. He’s just a character who was never on your side to begin with and it is shown by his actions in 3. This was a wasted opportunity. Luckily the Reapers never stop being a threat. Kai Leng – This guy is meant to be the anti-Shepard but is only introduced in this game. I wouldn’t have minded the ninja thing if he’d been a presence on 1 or was a squadmember who betrays you. Instead he is a one-dimensional baddy who has no personality or drive. He is a waste of a character who is only there to hurt you but with no reason why. Going Cinematic and Forgetting the Game – There are a few times where 3 wants to be a movie rather than a game and it hurts both. You have these weird dream sequences chasing the Catalyst and when you get the final part of Earth you are limping everywhere and somehow survive a direct hit from a Reaper, with no explanation. These are good examples of “Cinematic” over “Story” and they hurt the game. The game would have been worse and only been okay if there had been more of it. 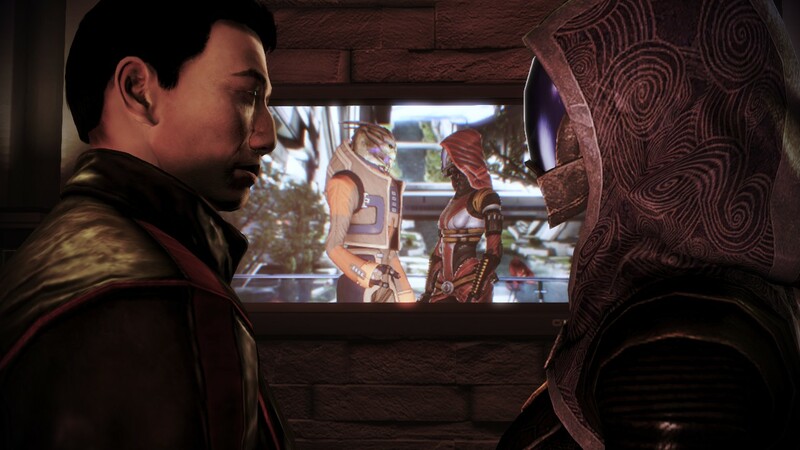 The Choices I Made – The choices I made were to end the relationship with Ashley (apparently turning her down in your quarters doesn’t break up with her in 1), continued my relationship with Tali. Chose the Krogan over the Salarians and helped end the genophage (saved Wrex in the first game) and let Mordin sacrifice himself, saved the Council (again), saved the Geth and Quarians and let Legion give himself to the Geth to make them stronger and brought about peace between the two species. Finally, I chose synthesis and gave up my life in the process. This is a game and series as a whole that for all of it’s flaws, is one of my favorites. Though I wish more had been done with the ending and the Catalyst be presented in a different matter rather than an annoying kid, and Cerberus being so powerful never being explained (as well as the Illusive Man’s motivations being one I never understood fully and Kai Lung having no setup as the New Dragon…he should have been in “Mass Effect 2” if he was going to be such a threat. I still loved the Synthesis ending and as much as I wanted to have Shepard stay with Tali forever, Galactic Peace was worth the sacrifice of losing her. Synthesis was a great explanation that really changes the drama that 2 and 1 set up of Organics against Synthetics. 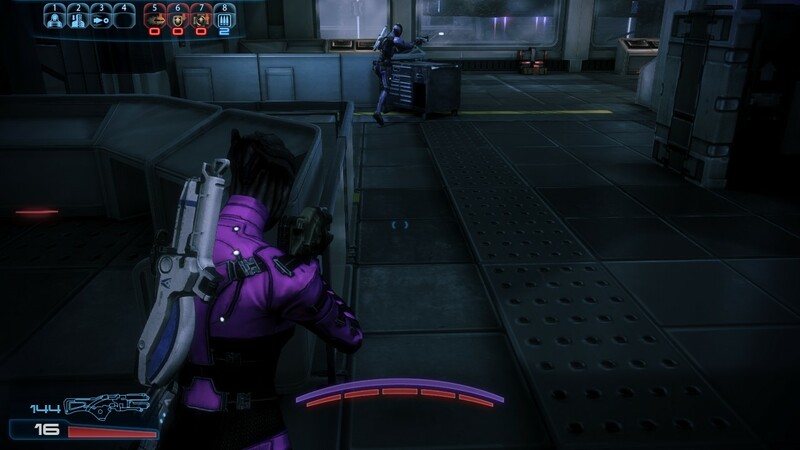 It was also great having Tali and Liara as my main squad again. If you like science fiction stories and games you may still love this series. It is one of my favorites and the best ending really is fantastic, even with all the story flaws littered through the game. 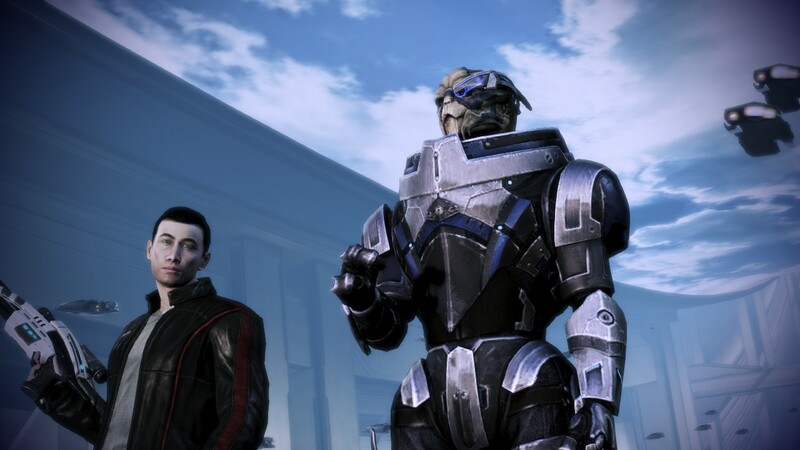 “Mass Effect 2” is still the best of the series, but I did enjoy 3 more than 1.